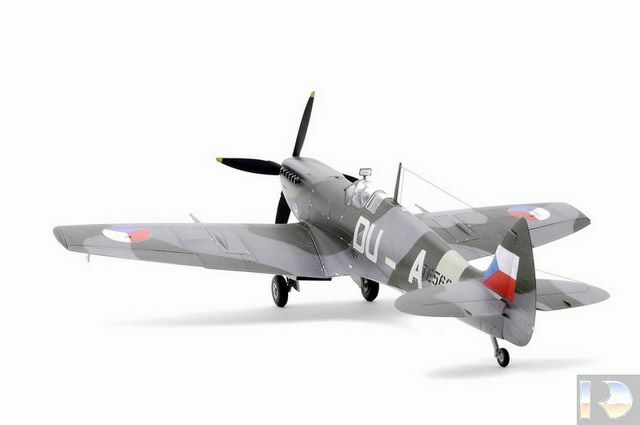 During World War II there were three Czechoslovak units in the Fighter Command, Nos. 310, 312 and 313 Squadrons, forming the No 134 Czech (Fighter) Wing which was established in May 1944. After the end of hostilities, these units transferred to the new Czechoslovak Air Force, arriving together with their aircraft at Prague-Ruzyne in August 1945. 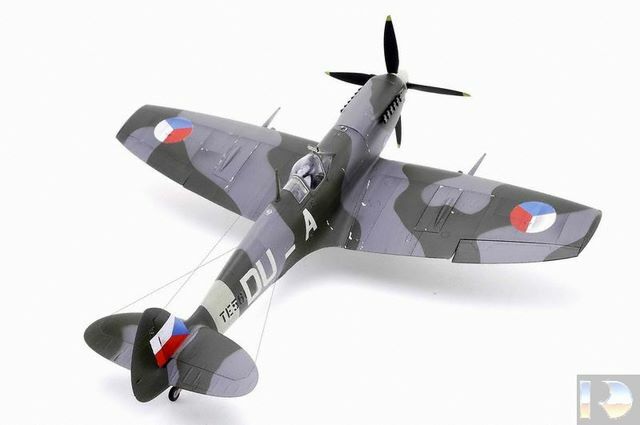 Czechoslovakia received a total of 77 Spitfires LF Mk.IXc/e. In CzAF service they received designation S-89 (S from Stihaci, fighter). Five of the aircraft went to the semi-civilian Security Air Guard which operated them from 1947 to 1951. 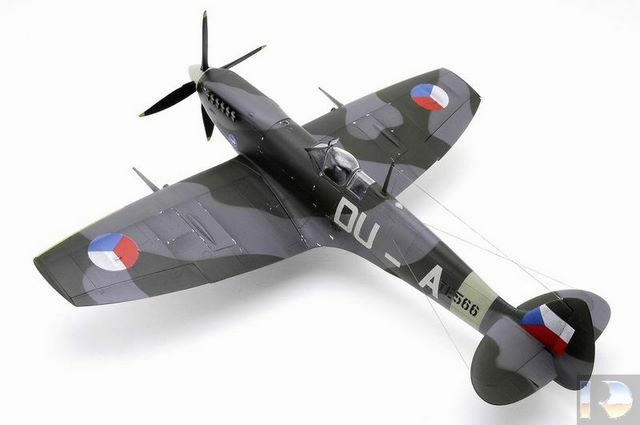 Spare parts and maintenance proved to be constant problem behind the rapidly emerging Iron Curtain and in November 1949, 59 remaining airworthy aircraft were sold to Israel. Three aircraft remained in Czechoslovakia, one of the surviving until today at the Prague-Kbely aviation museum. 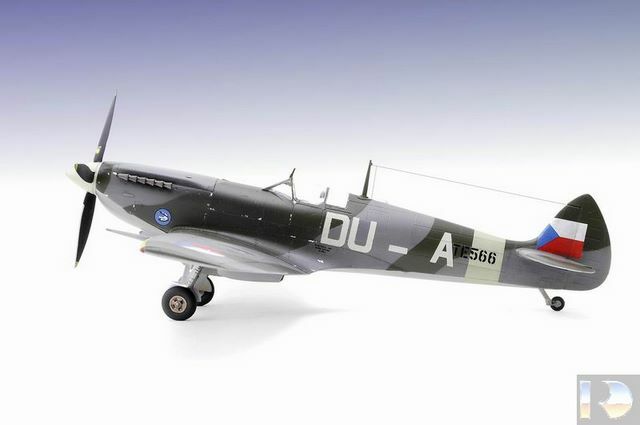 The depicted aircraft, DU-A TE566 was also a survivor. In 1976 it returned to the UK from Israel and was rebuilt and flown again in 1995. Sold to South Africa in 1998 and registered as ZU-SPT, it finally crashed in 2002 and was writen off. 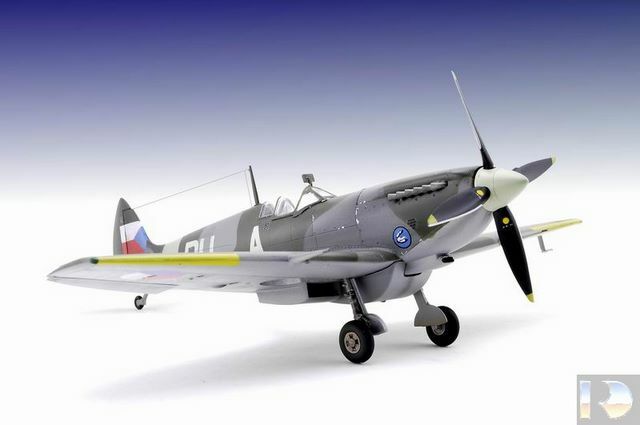 This 1/48 model, one of Ricardo Dacoba’s collection of Spitfires, has been built from ICM kit.